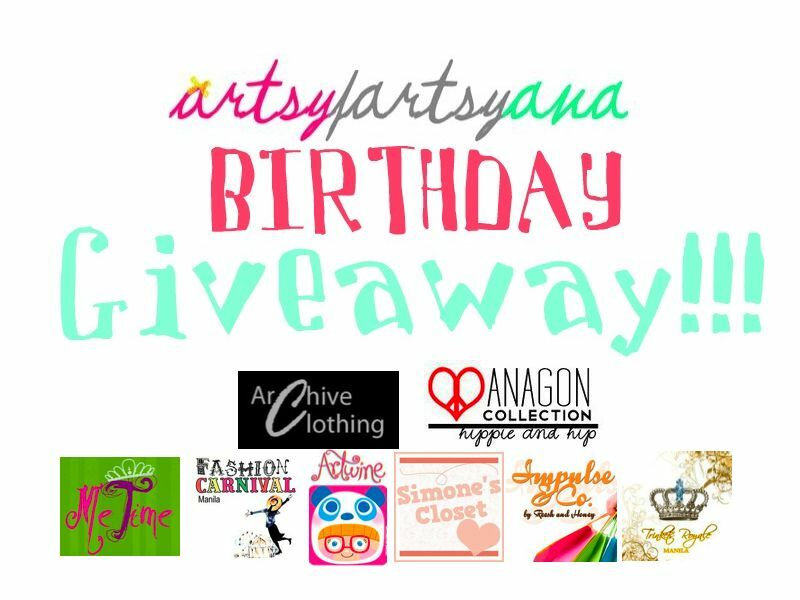 Horay for birthday giveaways! My cousin has been an avid follower of Artsy Ava and she was the one who convinced me to follow her. I've learned and picked up a few things from Ava and her site but out of all those things I've bumped into, this has gotta be the best one! Ava is giving away a lot of cool items! My favorite set is the FIRST PRIZE giveaway because of the very pretty and eye-catching stuff (especially the bags!). But the other prizes in this giveaway are still definitely desirable. I absolutely love the FEATHER NECKLACE from Trinket's Royale! That was part of the 2nd prize giveaway. As for the 3rd prize, its all about makeup Makeup and MORE MAKEUP! Love it! So go and avail yours now! Don't forget to submit your entries before May 21 for Artsy Fartsy Ava's Birthday giveaway or else it won't be counted! photo credits thanks to Ava!